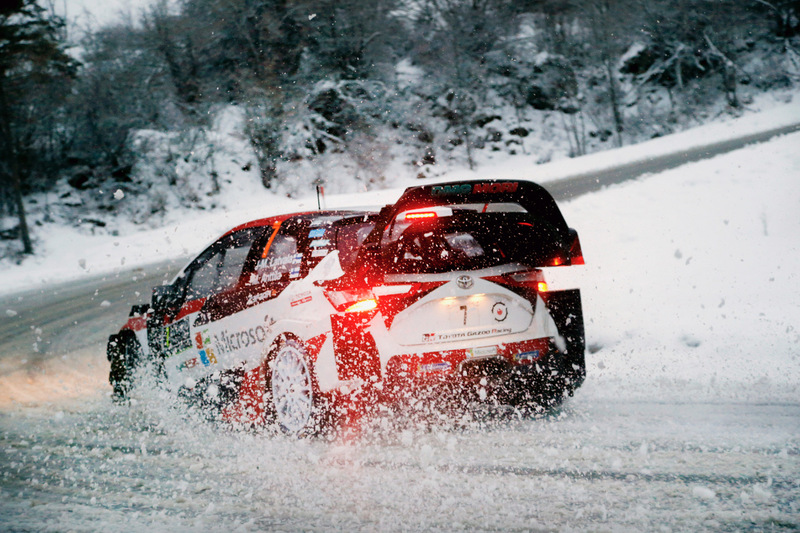 The TOYOTA GAZOO Racing World Rally Team is in a great position going into the final day of Rallye Monte-Carlo, the opening round of the 2018 FIA World Rally Championship season. All three Yaris WRCs are inside the top four places: Ott Tänak continues to impress on his debut with the team in second place, Jari-Matti Latvala has joined him on the provisional podium and Esapekka Lappi is fourth. Latvala used his experience to excel in the tricky conditions on SS9 and climb up from fifth to third overall: a position he holds by more than three minutes overnight. Lappi lost touch with his team-mate after needing to change a tyre on SS11, but after some quick times on the following two stages, he is on course for a fine top-four finish in what is his first Rallye Monte-Carlo driving a World Rally Car. This evening, the crews are driving their cars down to Monte Carlo ready for the final day of the rally. This will consist of two stages each run twice: La Bollene Vesubie-Peira Cava features the legendary Col de Turini where huge crowds will gather to witness the cars pass the summit, while La Cabanette-Col de Braus will host the rally-ending Power Stage before the finish back in Monaco.